Mr Justice Tugendhat's Secretary has informed me that judgment in the case of McCanns v Bennett will be pronounced at 12noon on Thursday 21 February at the Royal Courts of Justice. 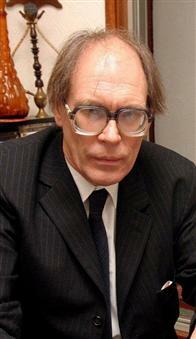 If he finds that I have breached any undertakings, I will then be allowed time to make a short speech in mitigation. Then he will deliver his sentence. The hearing will once again be in open court. As has correctly been stated on the other thread, Court rose at just before 1pm, after closing submissions, Adrienne Page Q.C. first, then mine. 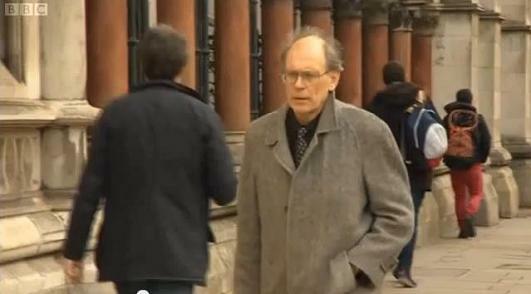 The judgment of Mr Justice Tugendhat will be given in open court, probably in more like 2 weeks' time than one. At that hearing, should he find that I breached one or more undertakings, I will be given the chance to enter a plea of mitigation, i.e. argue for a lighter punishment for any contempt. 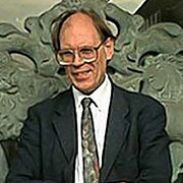 Once again, Mr Justice Tugendhat made it quite clear that court orders, injunctions and undertakings must be strictly obeyed until set aside one way or the other, varied or revoked, whatever may be said about the circumstances under which they were obtained, about how oppressive or restrictive they were, and no matter how many police officers, officials, journalists, authors, bloggers, forum owners, websites, YouTube video-makers and other individuals say exactly the same as I do and as Dr Goncalo Amaral does. Adrienne Page Q.C., did make one important submission right at the end of the proceedings. "My Lord, my clients wish to make clear in the light of press reports today that they do not wish for Mr Bennett to be sent to prison, nor do they want to punish him in any way; all they want to do is to ensure that he stops what he has been doing". 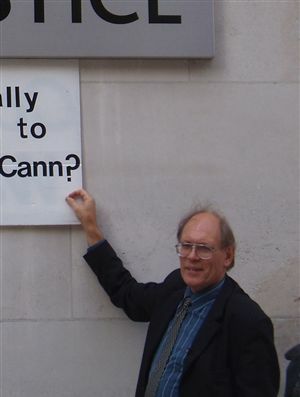 After coming out of court, I was caught by a journalist from BBC East Midlands (it might have been the one who falsely accused Dr Amaral of saying 'F___ the McCanns', I am not sure) and I was interviewed on camera for a few minutes outside the High Court. I think I gave reasonably clear and coherent answers. There may be a small item about it on BBC TV East Midlands tonight. 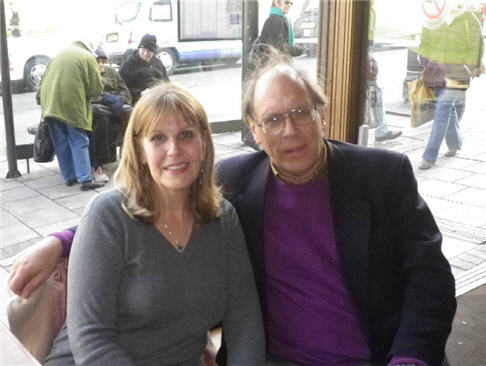 I was also interviewed by James Murray from the Daily Express who was a pleasant enough gentleman who was especially interested in my reference in court to the McCanns having spent so much money (around £4 million) using 17 different solicitors I gave him a print-out of the article on this forum which lists them all. Once again, the support for me in Court was wonderful. On both days they had to put 'COURT FULL' notices outside Court 14 - only about 30 people are allowed on the back three tiers of benches, and they soon filled up. Finally, please don't expect any further replies from me here, nor am I likely to be able to reply to any more e-mails, 'pm's or 'phone calls for at least a few days, I am going away for a complete break. 2. You are permitted to enter the Court room late. On entering, you should make a simple bow or curtsy to the judge and then quietly find a seat. Once again, so many thanks for all the messages, 'pm's, e-mails, 'phone calls and texts, etc. see all of you there tomorrow Deo Volente (getting into practice for all the Latin legal points that will crop up tomorrow. I'll let one of our classical scholars explain that one! Today I've received a further letter from Carter-Ruck, dated yesterday, which explains why the McCanns are spending a further £32,000 hiring Adrienne Page Q.C. to try to prove that I am in contempt of court. "Your self-represented status means that the Court is likely to require significant assistance from Counsel. Becaue of the serious consequences which the matter in issue may have for you, and for our clients, it is appropriate that such assistance is given at a senior level. There is no intention to create an inequality of arms, nor to obtain any unfair advantage. Indeed, the position is precisely the opposite. We consider that the Hearing is likely to be more efficiently and fairly conducted, to all parties, if Leading Counsel is present"
"Adam Tudor and his colleague Isabel Hudson continue to do a vast amount of work for us, without payment, most of it quietly, behind the scenes"
I have been quietly beavering away today preparing my notes for the trial and for my cross-examination of Isabel Martorell and M*** G*****, which will probably take place on Tuesday. Carter-Ruck are similarly beavering away. An hour-and-a-half ago a courier, da Silva by name, knocked at my door with another two bundles for the hearing: one, a fat bundle with about 250 pages of case law they are throwing at me at the last minute, and another one with their 'Skeleton Argument' of their legal submission to the Court. 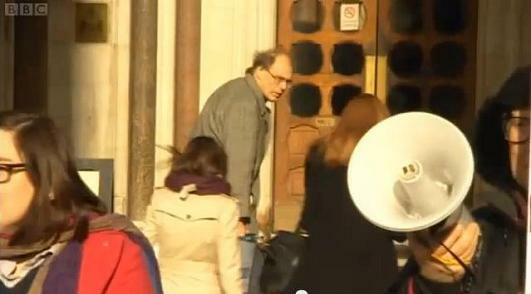 My equivalent went in to the Court on Friday, in good time. I have just finished reading the McCanns' lawyers' 'Skeleton Argument', which runs to 15 pages. Apparently these already mighty legal resources are not considered strong enough to overwhelm me. So, at the hearing on Tuesday 5 February, Jacob Dean will merely be the Junior barrister in the proceedings. Adrienne is joint head of chambers and a leading defamation and media law silk. She acts for both claimants and defendants in high-profile and heavyweight litigation. A number of her cases have had a medical angle, including the recent cases of Singh v BCA and Taranissi. In recent years she has been involved in many of the leading cases that have helped to shape the 'offer of amends' procedure. I have quoted from an AFFIDAVIT of Isabel Martorell, NOT from a letter. [The letter in Portugal was sent by Isobel Duarte on or about 8 January 2013]. What I have quoted from the Affidavit is verbatim and leaves nothing important out regarding the propsed settlement. 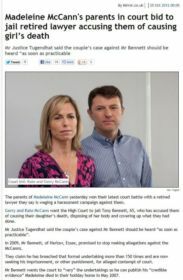 * It is ASSERTED by Carter-Ruck that the McCanns seek a settlement which "gives the [McCanns] sufficent vindication and protection in the future". EXCEPT THAT IT REMAINS TO BE SEEN whether or not, having themselves having sought an adjournment, the McCanns can now extract a settlement which gives the McCanns 'sufficient vindication and protection'. The McCanns WERE asking for COMPLETE vindication, and 1,200,000 euros (I make that £1,010,760 at the current rate of exchange - see NOTE). They have changed their position. Thet are now merely seeking SUFFICIENT vindication. I am not sure how they could be 'protected' from Dr Amaral's facts and his hypothesis, given that Amaral's book has been back on sale in Portugal for 2 years and 3 months, has been translated into nine European languages, is on sale in 32 countries, and is freely available in an English translation on the internet. * he uses his best endeavours to remove all English translations of his book from the internet. NOTE: Every time the value of the euro goes up against the pound by one-hundredth of a cent, the value of the McCanns' claim against Dr Amaral goes up by £120. Or down by £120 for every one-hundredth of a cent the euro falls against the pound. The McCanns have done really well in the past few months because the euro has recovered from a low point of 77.82 euros to the pound to 84.23 euros to the pound. 3. the Court agrees that the McCanns are entitled to what they claim, viz. 1,200,000 euros damages, THEN the McCanns will have gained a handsome £76,920 during the past few months, due to the euro's recovery. That could give the Find Madeleine Fund a much-needed boost. Letter 25 Jan 2013 to Carter-Ruck and the Court about THAT proposed settlement with Dr Amaral: is this now an 'Abuse of Process'? Below is a letter sent today to Carter-Ruck and to the High Court regarding the implications of the McCanns suddenly withdrawing from the final trial of their action against Dr Goncalo Amaral and, instead, seeiking a settlement with him. 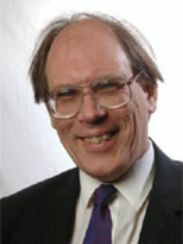 The trial is likley (but not absolutely certain) to be before Mr Justice Tugendhat, who adjudicated at a Case Management hearing in February, and issued a ruling in the case on 24 October 2012. It is likely (but not absolutely certain) to start at 10.30am on Tuesday 5 February and is scheduled to last 1.5 days. I have to check with the Queen's Bench Listing Clerks after 2pm on Monday 4 February to find out which court the hearing is in, and for confirmation of the name of the judge. * There are various cafes around. I hope to meet with known supporters for breakfast at around 9am on the first day of the trial, for more details of the vensue please contact me by e-mail or 'phone below. On this occasion, and for the first time in a four-year history of correspondence between your firm and myself, I am writing to you personally, on behalf of your firm, because of the significance of the issue concerned. You are a Senior Partner of Carter-Ruck and have many times been publicly associated with your clients Dr Gerald and Dr Kate McCann, not least when you attended the DCMS Select Committee on press freedom and standards in March 2009, and more recently in the book, 'madeleine', written by Dr Kate McCann. On page 289 of her book, she paid personal tribute to you, explaining that you and your colleague Ms Martorell "continue to do a vast amount of work for us, without payment, most of it quietly behind the scenes". She praises you there for your "invaluable advice", whilst on page 382 she pays further tribute to you as someone who "has laboured faithfully out of the goodness of his heart...regardless of the day or the hour". She adds how much she has appreciated your "priceless expertise and commitment". These are rare words of tribute from a client to her lawyer. The matter I wish to raise with you as a matter of some urgency arises from your clients' conduct in withdrawing, at the last minute, from pursuing their libel claim at the final trial of their action against Dr Goncalo Amaral, which was due to have started in the Lisbon Civil Court yesterday. After your clients have been pursuing him in the Portuguese civil courts for nearly four years, it has become clear in the past few days that your clients have requested a six-month adjournment of the case, in order to reach an out-of-court 'settlement' with Dr Amaral. This raises, in my judgment, significant questions in relation to their conduct, both against him - and now, in 11 days' time, in continuing to press the High Court to impose a term of imprisonment on me for alleged contempt of court. These are questions also for yourself, as your firm and you personally have been advising them throughout. No doubt your firm and Ms Isabel Duarte, your clients' Portuguese lawyer, have been in very close contact with each other throughout the four years of your clients' claim against Dr Amaral. c) That your clients covered up her death and, with or without the help of others, hid her body. Your clients maintain, as stated in one of your letters to me, that 'there is not one scintilla of credible evidence' to support his conclusions. As you know, many people disagree, contending that there is credible evidence to support Dr Goncalo Amaral's claims. I am one of them, and that is why your clients are applying to the Court on 5 & 6 February to impose a term of imprisonment on me. I consider that my publications do not go beyond Dr Amaral's hypothesis as set out briefly above. For example, Dr Amaral suggests, in the absence of compelling evidence to the contrary, that it is likely that Madeleine died as the result of an accident, possibly when your clients were not present with her. The same conclusion was set out, as you know, in the interim report of Inspector Tavares de Almeida. As you know from your firm's extensive perusal of my many lengthy articles and internet postings, I have never ventured beyond Dr Amaral's own main conclusions on what really happened to your clients' daughter. 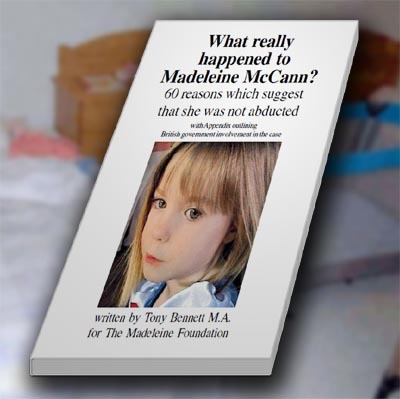 • Your clients threatened at the time to sue Dr Amaral for libel, claiming the book was untrue, extremely hurtful and would 'harm the search for Madeleine'. However, they did not do so until either June or July 2009, around one year later. By that time, Dr Amaral's book had sold some 200,000 copies, an hour-long documentary based on his book had been seen by 2 million Portuguese people, and several editions of his book in different European languages were in print or being prepared. • Your clients claimed 1.2 million euros damages (£1 million) against Dr Amaral, his publishers and the TV company which showed his documentary. They both claimed to have suffered emotionally and physically in a number of ways, adding that they were 'irreparably damaged'. • In September 2009, your clients obtained a draconian order against Dr Amaral, banning his book, and requiring him and his publishers to return all copies of it and physically hand them over to the custody of your clients' Portuguese lawyer, Isabel Duarte. I believe some sort of financial order was also obtained against his assets. • After four days of hearings in January and February 2010, the Lisbon High Court dismissed an appeal by Dr Amaral against the order made in September 2010. • In October 2010, the Portuguese Appeal Court reversed that decision. 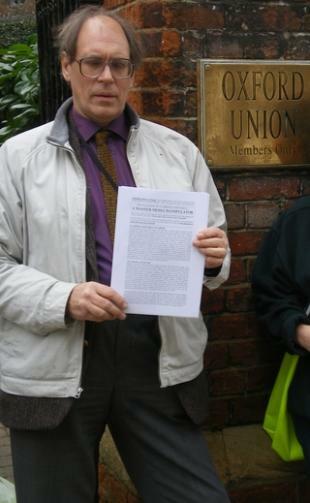 It determined that in considering the delicate balance between freedom of speech and the right to preservation of one's reputation, Dr Amaral's right to free speech under Article 10 of the European Convention on Human Rights had been violated. They ordered the immediate unbanning of his book. They also ordered your clients to pay Dr Amaral’s costs. • Your clients appealed this decision to the Portuguese Supreme Court. They lost again, in March 2011. The court dismissed their appeal. Dr Amaral’s book remained unbanned. As I understand it, your clients were again required to pay his reasonable costs associated with the hearing. • Your clients nevertheless continued with their claim that Dr Amaral's book libelled them, continued to seek the banning of his book, and continued to seek 1.2 million euros damages. The final trial was scheduled to begin yesterday, 24 January. Both sides continued to prepare for this 'final showdown'. "...I understand that the trial, which had been due to take place in January 2013, has been postponed at the request of the Claimants' lawyer, to allow the parties to explore whether a settlement may be reached which gives the Claimants sufficient vindication and protection in the future". However, information I have now received this week, confirmed in writing, from a source who has been very close to Dr Amaral for many years, and to his solicitor, Snr Santos e Oliveira, gives a fuller - and more concerning - picture. 2. To seek a settlement with Dr Amaral. I am informed that after taking Dr Amaral's instructions, Snr Santos e Oliveira agreed. That letter is significant in relation to the parallel proceedings against me. I believe that this letter is relevant to your clients' attempt to jail me for contempt and, as requested in a letter written by hand at your offices today, I should be grateful if you could forward me a copy of it without delay by return. If I do not receive a copy, I shall ask the judge if it ought to be produced. For five years your clients and their spokesman have regularly denigrated the Portuguese police and of course Dr Amaral in particular. Using their legal might, they have pursued Dr Amaral for four years, no doubt costing themselves and Dr Amaral tens if not hundreds of thousands of pounds in the process. Nor is there any doubt that the legal onslaught on him has been emotionally, as well as financially, very costly. In addition, your clients have pursued Dr Amaral in the criminal courts, arranging via Metodo 3 for lawyer Marcos Aragao Correia to represent Ms Leonor Cipriano, the convicted murderess of her own child, 8-year-old Joana, in a claim of alleged torture against him and four other detectives. For the past 2 years and 3 months, Dr Amaral’s book has been unbanned, based on the Portuguese Courts' interpretation of Article 10 of the European Convention on Human Rights. Your clients have maintained that Dr Amaral is a wicked man who has libelled them and done untold damage to themselves and the search for Madeleine. 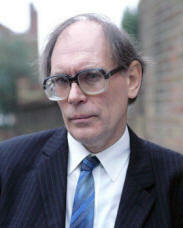 They have been claiming £1 million damages from him and his publishers. Yet now, just two weeks away from the beginning of the final trial of the action, as Snr Santos e Oliveira and Dr Amaral were completing their extensive preparations for that trial, it now seems clear that your clients are unwilling or unable to prosecute their claim and are suing for peace. A claimant seeking to settle a case is most unusual - and I suggest, with respect, that the prospects for your clients achieving any of their goals in this very expensive litigation have as a result, without doubt, receded significantly. * has been allowed by the top two courts in Portugal to go back on sale, consistent with Article 10 of the European Convention on Human Rights. 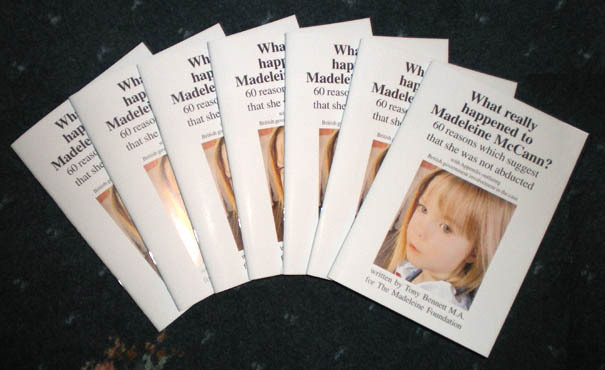 The primary facts and arguments on which I rely for all my publications about the reported disappearance of Madeleine McCann are essentially derived from Dr Amaral's 220-page book, 'The Truth About A Lie'. His conclusions (as set out above) can be freely read and discussed in many countries and in England. Your clients have been powerless to stop its widespread distribution, yet you are pursuing one individual, myself, for doing no more than what thousands of others are also doing, namely, repeating Dr Amaral's central three allegations. Your clients have tried to sue him for libel, but have failed after 4 years of litigation to do so, and their prospects of succeeding look increasingly remote. Your clients have tried to ban Dr Amaral's book (albeit that they left it a year before suing him), and failed - but not only failed, they have incurred large costs in doing so. Many people doubt your clients' version of what happened to Madeleine and openly say so on a regular basis. As is clear from the Exhibits in my Affidavits, books have been written by professionals in their field, such as criminologists, police officers and psychologists, echoing the views of Dr Amaral in one form or another. 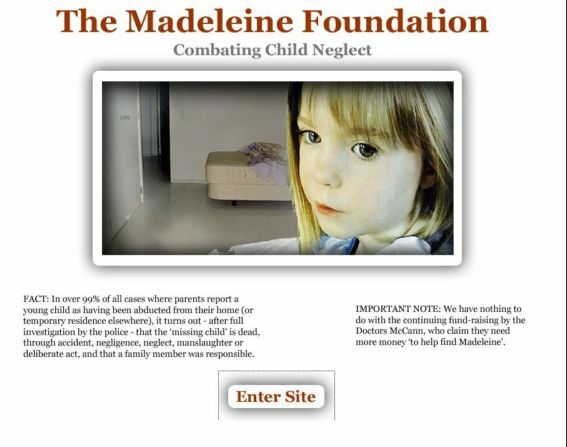 The list of websites, forums, blogs and videos, including those on the popular video-sharing website, YouTube (as per my Affidavit), which openly doubt your clients' account of what happened to Madeleine is large, and growing all the time. Your clients are powerless to stop this amount of open dissent. You and your fellow-lawyers at Carter-Ruck must know this as well. Yet your firm persists in trying to convict me of contempt of court, knowing that if they succeed, quite apart from any term of imprisonment, payment of even a significant proportion of your costs to date will inevitably involve personal bankruptcy. Your recorded costs in pursuing the committal application against me were already 'well over £120,000' by 19 April, and may well be reaching £200,000 by now. I invite you to consider that given the circumstances outlined above, a judge might well consider that to continue to prosecute me for contempt, against the background I have set out above, when only a few days ago your clients have withdrawn from the final libel trial against the author of what your clients maintain is the source the original libels, might be considered an abuse of process. That is why I believe the Court should see the letter sent on or about 8 January 2013 to the Court and to Snr Santos e Oliveira. Kate and Gerry McCann could face court action over alleged child neglect after a lawyer attempted to launch a private prosecution against the couple. 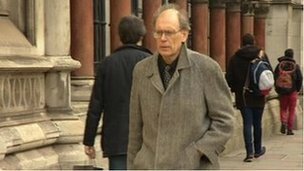 Anthony Bennett has faxed six pages of "evidence" to Leicestershire magistrates together with an application to summons the couple.